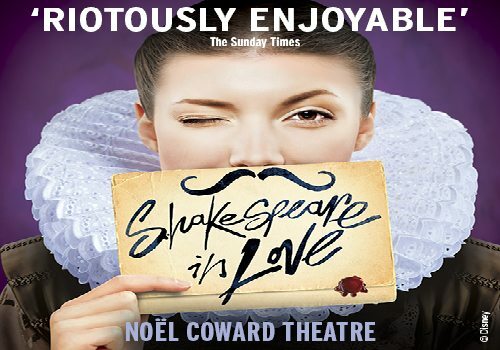 Creator of the onstage Billy Elliot, Lee Hall, turns his hand to adapting another movie classic; Shakespeare in Love. Shakespeare in Love was one of the highest grossing films of the 1990's, starring Joseph Fiennes and Gwyneth Paltrow. Now Tom Stoppard and Marc Noman's text is brought to the stage at London's Noel Coward Theatre, directed by Check by Jowl's Declan Donnellan. Rather like the 1998 film of the same name, Shakespeare in Love follows William Shakespeare in his earlier years as a young playwright. William is in heavy debt and is struggling with writers block as he attempts to pen Romeo and Ethel, the Pirate's Daughter (a earlier working of Romeo and Juliet.) Things look rather dismal for the young playwright until he auditions a feisty young chap, Thomas Kent, to join his cast. 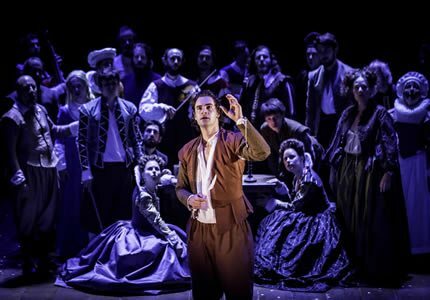 Thomas turns out to be the young noblewoman, Viola De Lesseps, in disguise, impassioned to dress as a man so that she can participate in theatre and, more specifically, the works of Shakespeare which she has admired from afar for some time. 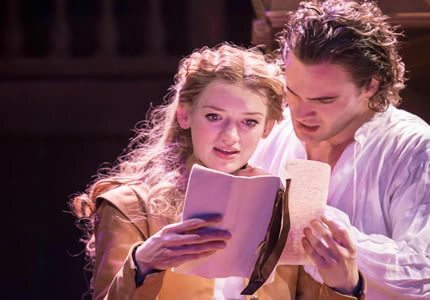 As Viola's true identity is discovered by William, they begin a passionate yet forbidden affair and the young beauty quickly becomes the writers muse. Shakespeare in Love revels in the sheer joy of love itself. Prepare to be transported to to a vibrant, vivid tableau of Shakespeare's London, teeming with colourful characters, music and life. Whilst the play contains some adult content, children over the age of 8 who are accompanied by an adult may enjoy this show.